On November 2nd, Spotify took over The Rosewall in Nashville for a special night to honor the craft of songwriting. 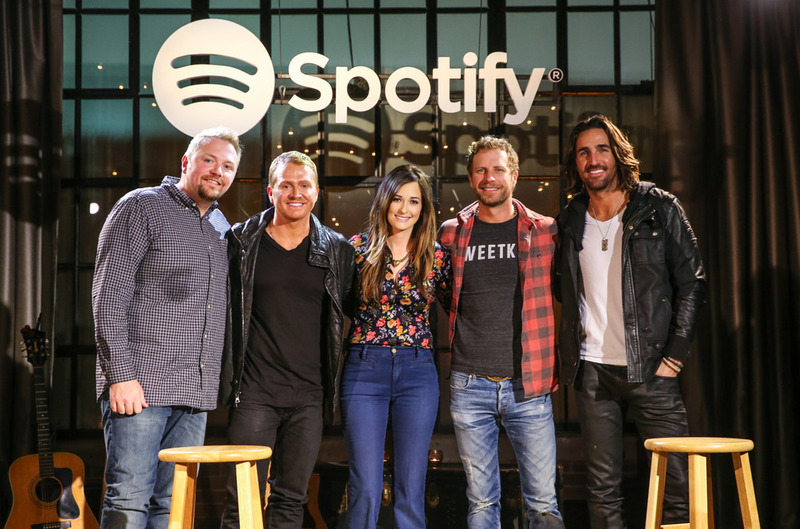 Over 150 industry and influencer guests came out to celebrate Spotify and kick off CMA Week. The night was curated by Shane McAnally and included a live show with conversation about song’s Shane has written. The timing could not have been more perfect with Shane’s current success on the charts! Shane was introduced by Cody Allen from CMT followed by live performances by Shane & Josh Osborne, Jake Owen, Kacey Musgraves and Dierks Bentley. But why stop there? Spotify has released a playlist of Shane’s backstories, anecdotes, demos and personal commentary from the featured artists along with their own hit tracks. Spotify has called it “SongCraft”, and hope it becomes the first of many episodes honoring the art of the song. To get Shane’s Inspirations Playlist as well, text “SpotifyCMA” to 444999.